Bangalore: TCG Real Estate is firming plans to raise a second fund of at least $300 million (Rs1,560 crore) as it enters the final leg of investments from its first fund. “While we are planning both a domestic and an overseas fund, we are more keenly looking at an overseas one," said Bani Banerjee, executive director and chief investment officer, TCG Real Estate. The fund is jointly managed by TCG and Vornado Realty Trust, a US-based owner and manager of commercial real estate. TCG is the holding company of all investments made by The Chatterjee Group, promoted by non-resident investor Purnendu Chatterjee. The firm will raise the second fund on its own but may seek a strategic partner later, Banerjee said. The new fund, like the first one, will invest in residential and commercial projects. “Though retail is a much-hyped sector now and looks interesting, we may not look at it," Banerjee said. Several developers are again eyeing the retail segment after the Union government decided to allow 51% foreign investment in multi-brand retail and 100% in single-brand stores. TCG Vornado’s latest investments were in redevelopment projects in central and suburban Mumbai being constructed by local mid-size developers. Banerjee did not disclose details. The India Property Fund has invested in six other real estate deals, largely in Mumbai, Pune and the Delhi-National Capital Region. Earlier this year, TCG Vornado acquired a 49% stake for Rs120 crore in Ramprastha Group’s residential project Skyz in Gurgaon. It made one of its largest investments in its initial year, when it bought a plot in Mumbai’s Bandra Kurla Complex business hub in 2007 for Rs1,041 crore with partners including the Hiranandani Group. Raising money for a new fund now, however, may be a challenge as several economies are bracing for a slowdown. “Fund-raising in the current market is very tough; but across the world, there are investors waiting for the right investment opportunity," said Banerjee. It may be easier raising a domestic fund as foreign investors may be confused about the government’s stand on the real estate sector, said Ajit Krishnan, sector leader (infrastructure and real estate) at Ernst and Young. India’s real estate sector is in a state of flux because of a liquidity crunch and the apex bank curbing lending to the sector. Sales have dropped and interest costs have spiralled in recent months. Krishnan added that “while investors still believe in the India real estate story, fund-raising has become more focused and challenging, in that capital coming in is for largely residential projects and for last-mile funding". TCG has a substantial development portfolio as well. Globally, developer-backed funds are common and there is no perceived conflict of interest, but in India there are only a few such funds. Developer Shapoorji Pallonji launched a $500 million realty fund earlier this year. Mint couldn’t ascertain the status of the fund-raising. Ashok Piramal Group company Peninsula Land Ltd invested in five projects from its Rs180 crore Peninsula Realty Fund. 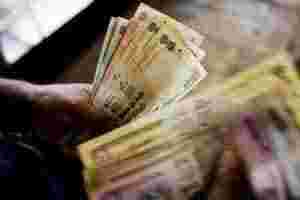 It is now planning a second fund of Rs300-500 crore with an Australian partner, said a company spokesman.